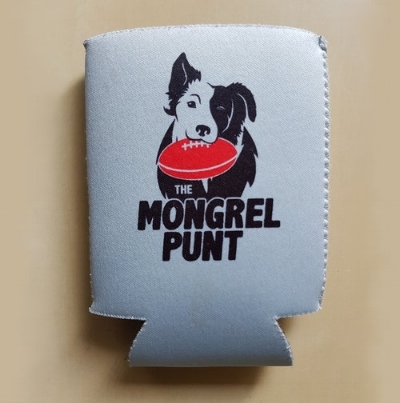 The "Ifs", "Buts" and Other Stuff - Gold Coast Suns — The Mongrel Punt Become a Patron! There are days when I show up at work, and I just know it’s going to be a tough day. It’s like a storm brewing on the horizon – you see it coming a mile off, and you brace for it to hit. There’s a bit of that about the Gold Coast Suns in 2019. Their 2018 off-season was one from hell, with their leadership jumping ship, and even their best ball-winner being allowed to walk from the club with little in the way of compensation. They’re like my old computer in a way. Sometimes it freezes up and it takes a couple of whacks to see if it jolts it into working again (it doesn't) and then, being the technological wizard I am – I opt for the only solution I know will work – a reboot. And that's where we find the 2019 Gold Coast team; rebooting. The Suns are young, inexperienced and ripe for the picking. Those teams who are scheduled to play them twice would be licking their chops at the prospect, but whilst Carlton coaches talk about green shoots all the time, the regrowth at Gold Coast resembles more a forest after a bush fire. They’ve been burned badly, and it will be how they nurture the new foliage that will be vital to their next ten years. But I don’t want to focus on doom and gloom in this article – this is for Suns fans, after all. The tunnel they find their team in is a long one, and whilst the light at the end might be a fair way off, there are a few bright spots along the way. Let’s have a look at them in our “ifs” and “buts” of Gold Coast in 2019. … Anthony Miles and Corey Ellis were starved for opportunity at Richmond, they should feast here. A bit of a wink and a nod between the Tigers and Suns saw Miles and Ellis head to the Gold Coast after Tom Lynch opted to become a Tiger. It is a nice move for all concerned, and will really test out whether these two guys want to play top-level AFL footy bad enough. Corey Ellis was a fringe player in the powerful Richmond team, and managed just four games in 2018. With 27 games under his belt, but opportunities at Tigerland somewhat slim, he could be one of those players that just needed an opportunity – boy, he’s gonna get it with the Suns! This is season five for Ellis, and he should be ready to blossom. If he does not collect career-high statistics this season, something’s up. He’s showed promise at times, but as you’d expect, was overshadowed by big names at Richmond. With a clean slate to work with at the Gold Coast, Ellis has the opportunity he needs. Is he good enough to capitalise on it? Anthony Miles is an interesting one. Between 2014-16, he played 55 games for Richmond before being supplanted by the recruitment of Dion Prestia and Josh Caddy. When he has cracked the AFL side, it’s not as though he hasn’t performed – he was just a victim of a team with so many midfield guns. He should be the player that breaks out at the Suns this season. Given his experience, knowledge of what it takes at a successful club, and hunger for A-Grade action, Miles has everything going his way to be one of the better Suns mids in 2019. Career averages of 22 touches per game and three clearances (career high of 6.62 in 2014) should see him usurp the role of Jarryd Lyons. Miles may be a smokey for the Suns best and fairest award in his first year at the club. How he handles the transition from role-player at Richmond to midfield leader with the Suns will be interesting to watch. … the Suns are to re-establish themselves, the culture is set this season and all buy into it. Realistically, you expect a few heavy losses this season if you’re being fair. In many ways, they’re a team of boys competing against men. They’ll have their moments, and I hope like hell that they gel quickly and upset a few teams, but the pessimist in me is waiting for the hammer to drop on them in some games. It’ll happen, but it’s the response that matters. How will the kids pick themselves up off the mat and fire back? Who will lead the way? The name of Touk Miller has been bandied around whenever there is chat about leadership at the club. He was vocal around the departure of Tom Lynch, and his style of play is both aggressive and accountable. It’s hard to see him dropping his head when the chips are down. How many will follow him into battle? Jarrod Witts and David Swallow have both recommitted to the club, long-term, which is a tremendous result. Both players will add leadership to the team, and currently, that is what is important. Let’s face it – no young player wants to come into a team that is bottoming out, and that’s what Gold Coast is doing. It is necessary, and we’ll get into the malcontents a bit later, but it must be difficult to sell an AFL dream in a nightmare scenario. For players like Rankine, Lukosius and King, the example set by the leaders will be so valuable. They’re highly talented young kids, and with the right environment could become the draft class that makes Gold Coast an eventual power, but they have to want to be there. They have to learn the right way. And for that to happen, the responsibility falls not just on the club, but the players there currently. It’s a huge ask to have the weight of the club thrust upon your shoulders. It was too much for tom Lynch. It was too much for Steven May. The Suns need people of higher character in those positions now, and hopefully they have them. … some of the younger players start to live up to potential, the Suns might be “must-watch” at times. With three picks in the top six, the equation is quite simple. If you want to watch the future of the AFL, tune into a few Gold Coast games throughout the season. We’ve heard the comparisons. Izak Rankine is the next Chris Judd. Jack Lukosius is the next Nick Riewoldt… but all good things take time. Even if they're 75% of what those players were, the Suns are on some winners there. However, whilst Judd burst onto the AFL scene in his first year, Riewoldt sat out most of his. These young players might turn out to be great, but they’ll develop at their own pace. That said, at the very least you’d expect to see some glimpses of the future as they ply their trade for the Suns this season. The Gold Coast hierarchy must already be tingling at the prospect of Rankine getting a clean tap from Witts, streaming out of the centre and hitting a leading Lukosius on the chest. It might not happen every week, or every fortnight even, but when it does, you could forgive Stewie Dew and co. for smiling widely. There is no immediate panacea for the Suns – this is a long game, and the development of Rankine, Lukosius and King is instrumental in rebuilding this team. But what happens if one does jump out of the box? What happens if Ben King takes 15 marks at half back? What happens if Rankine tears an established midfielder a new one and leads his team to a win? What happens if Lukosius takes some solid grabs and kicks a bag of goals? What happens is that people start taking notice, and that’s what the Suns need right now. A team full of young stars will fluctuate wildly. They’ll be inconsistent, they’ll have very low lows to counter the fleeting highs, but if we can catch those highs, bottle them and savour them, and the time between them becomes less and less every time, the Suns might provide some genuine highlights in 2019. … Lachie Weller makes the leap, the Suns can feel better about the price they paid to get him. Pick Two. That’s what it cost the Suns to bring a local boy home, and on face value, it appears they were robbed blind, right? I’m not so sure. The acquisition of Lachie Weller was more than just parting with a high draft pick; it was about building around people who want to be part of the club. Weller wanted to come home. He wanted to be part of what the Suns were building. At this stage of the game, with players diving out the exit door, having a young player with enormous potential wanting to come to the club, is huge for the Suns. But at some stage the enormous potential has to transform into in-game results. Weller’s 2018 with the Suns was almost a carbon copy of his 2017 with the Dockers. He was -0.37 in disposals, +0.18 in tackles, and +0.78 in clearances – hardly the kind of gains that justify parting with such a highly valued pick. What the Suns need from Weller is improvement, and they need it fast. Whilst patience with the new guys is required, Weller is now entering his fifth year in the system. It’s time to start delivering. For mine, the pass mark for Weller this season would see career-highs set across the board. He needs to start winning his own ball, and increase his influence on contests. I’d be wanting to see him add 4-5 touches per game to his overall average. It’s a decent leap, but Gold Coast needs to start seeing some return on this investment. Another season hovering around the 20-touches per game mark, with virtually no damage done on the scoreboard will start raising some eyebrows, and not in a good way. Weller is a talent, but 2019 is the time when talent needs to manifest into some standout games. His time is now. … there is any negativity left, it will grow like a cancer, particularly if the losses pile up. This is the big one for the Suns. As a matter of fact, it’s the only one that matters. The stocks of individuals within the team will rise and fall with every performance, but the attitude of the group, and the atmosphere at the club is what is vitally important right now. The one question that should be answered, in one-on-one sessions with Stewie Dew before this season starts is as follows. Do you want to be a part of the Gold Coast Suns? The answers you receive will give you a clear indication as to the direction of the club over the next few years. The malcontents are gone. Lyons is a Lion, Lynch is a Tiger, Hall is a Kangaroo, and May is a Demon. I’ve said it before, and I’ll say it again – goodbye to bad rubbish. When a player doesn’t have his heart in it, it’s not worth keeping him around. Whilst all had their reasons for wanting to leave, it is important for the Suns to start focusing on what they have – not what they lost. Yes, May was a solid unit down back, and his efforts against the Swans in 2018 spoke of a player who showed great leadership… until he had the opportunity to show some actual leadership and commit to the club. Yes, Lynch is a highly-skilled forward. Dermott Brereton rated him as the best in the game a few years ago, but he has looked nowhere near it since – is losing a guy that can’t stay on the park that big a loss? And Lyons… well, when you’re allowed to walk for nothing in return, it speaks volumes about how much value you hold internally. Lazy and uncommitted, both he and Aaron Hall enjoyed running one way. It’ll be interesting to see if that flies in their new locations. So the Suns cleaned house, but I sincerely hope they’ve disinfected as well. If there is anything left that could start making the current group feel disenfranchised, then it needs to be dealt with swiftly. Gold Coast needs a nurturing, encouraging environment to develop their team. Yes, they need harsh lessons and discipline along the way, but a positive environment, with a collective buy-in is vitally important. If they can get everyone to pull in the same direction, even when things aren’t going their way, then they’re one step closer to re-establishing themselves as a team, and not just as a stopover for young players until their home state comes calling. … Jack Martin isn’t a star by the end of the year, should the Suns trade him? This might be a bit unpopular, but screw it. I’m a little bit tired of waiting for the high Gold Coast draft picks to magically start playing well. Jack Martin – he was taken in the 2013 mini-draft and rated as one of the best juniors in the country. He played his first game in 2014 and is now entering his sixth year of footy. And he is yet to really put his stamp on the competition. After being slowed by injury early, Martin’s progress has been slow. He shows enough glimpses to let you know what he’s capable of, but in terms of being the match winner he was mooted to be… it just hasn’t happened. He’s fast, elusive, and supremely skilled. At 24 years old before the season starts, he should be entering his prime. Is 17 touches a game good enough? Not for mine, it’s not. With what he has to offer, Martin needs a breakout season. He needs to be at the point where, as an opposition coach, you have his name circled on the whiteboard as a man you need to stop. I don’t think he’s been anywhere near that as yet. Jack Martin performing well could be the difference between a competitive Gold Coast team, and a Gold Coast team that ekes out a win here or there. The talent is there. The opportunity is there. Can Jack Martin grab it? If he can’t, maybe it’s time Gold Coast looks to get some value for him whilst he still has some? Some recognition for Jarrod Witts is a little overdue. His two seasons at the Suns have been his two best in the league. At over 38 hitouts a game, the Suns mids should get ample opportunity to get first hands on the ball this season. Swallow, Miles, Fiorini… they need to start getting those clearances in order to get their forwards legitimate one-on-ones. Witts getting first hands on the ball is one way to give them the chance. Organic improvement – well usually I can cover this in a paragraph per team, but the whole Suns team has plenty of room to grow before hitting the ceiling. Let’s go through a few I really love watching. Alex Sexton – the perfect player to have a breakout year. What’s that? He had a breakout year in 2018? Not really, but he was good around goal. He’s now in his eighth year in the AFL – where did the time go? He had a couple of excellent outings in 2018, which led to 28 goals for the year. The Suns will need 35+ from him this season. Jack Bowes – my favourite Suns player. 27 games into his career, Bowes went from 12.45 touches per game in 2017, to 16.19 in 2018. A similar leap would see him push 20 touches per game this season, and start making a huge difference to the team. In the few Suns games I watched in 2018, Bowes seemed to be a “right place-right time” kind of player. He just bobbed up at the right moment, and always looked like he knew what was happening around him. It’s actually quite a rare trait. Brayden Fiorini – 21.9 touches per game in his third season is impressive, but it was only +0.8 on his 2017 output. Fiorini looks classy, but needs that next step – so many Suns need to take the next step, huh? Brayden Crossley – Everyone’s favourite man-child burst onto the scene in 2018. Yeah, yeah, he looks like his own dad. Yeah, yeah, he looks so old. But yeah, yeah… he can flat out play! Solid as a rock, and unafraid to throw that big body around, he is a cult hero for a reason other than just how moustache. I could go on for a while – Ben Ainsworth, Cal Ah-Chee, Will Brodie – all have high ceilings. They’ll take time, but the building blocks are definitely in place. So, where do I see the Suns finishing? They’ll be down the bottom, sadly, but for me it’s not about wins and losses this season. Sure, 4-5 wins would be great, but I’ll be watching the body language of the young fellas (I didn’t like Ben King’s body language at the draft at all) as they battle through a season that will test them. Every time I watch Gold Coast play, it will be with an eye to see where players will be in 2-3 years’ time. That’s when you’ll be able to see if what they’re developing now is the right way to go about things. For Suns fans… I expect a few drubbings along the way, and if you’re being honest, I reckon you are as well. But we all love Rocky films, right? I’ll leave you with this. Get up, Suns… because The Mongrel loves ya!